Handmade in Oakland, California, the unique form of our Heart-Shaped Glass Bowls was actually discovered out of good old-fashioned curiosity. Reversing a common glass making technique gave these bowls some creative contours, and the result was love at first sight. It takes a team of three people to make these pieces. One person helps to apply the color. He is the starter. The other person helps with the color too but he also helps blow out the form and put the foot on. It's then taken off the blow pipe to open the mouth of the bowl. A tool called tweezers are used to pull the glass to a point and to fold the lip in to make the heart shape. 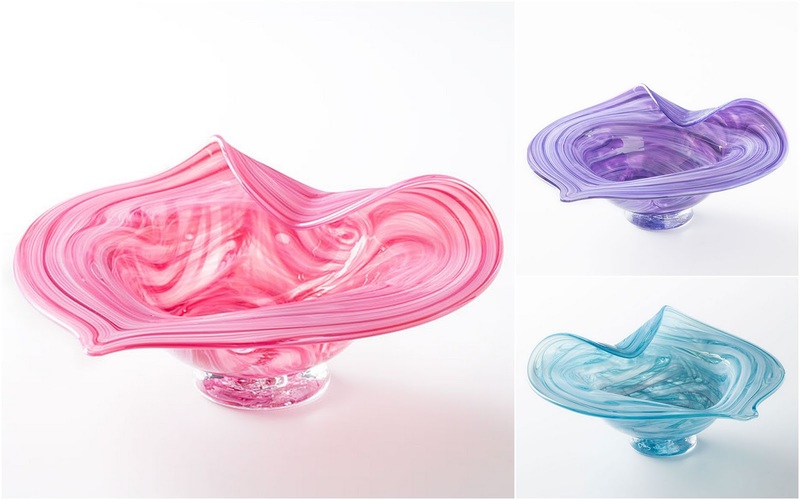 Click here to purchase a Heart-Shaped Glass Bowl of your own!